A continuing series of photographs. I’m often asked, “how close do you get to elephants?” Well, sometimes this close. That’s my seat-mate’s hand in the lower corner. 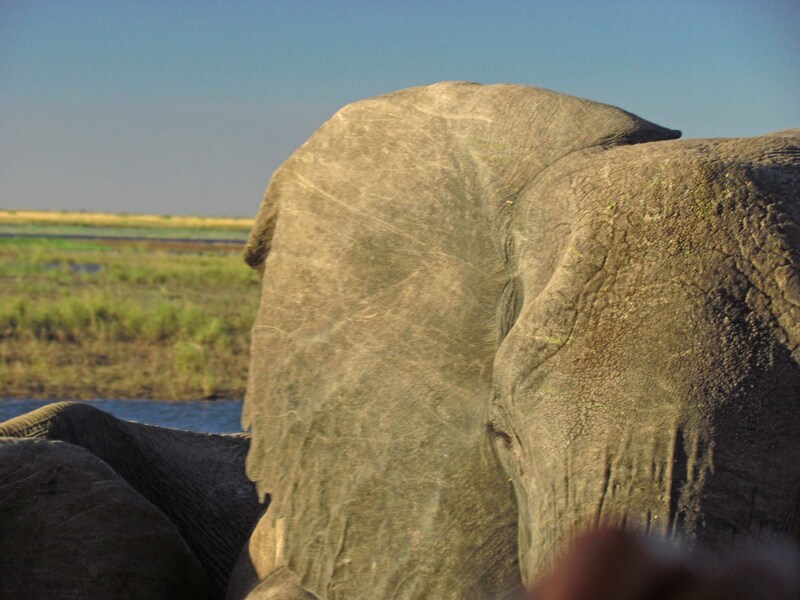 This is the Chobe River area of Chobe National Park, Botswana. Lovely grasses and rushes for the elephants to eat. Neither time was dangerous. You know how curious elephants are!